1.5hr drive time to next gas stop & start of trail. Plan for an all day trip, dress warm. Jeep 33" tires 2" lift (NO) lockers fine. F-150/250 35" tires 4"-6" lift (NO) lockers fine. 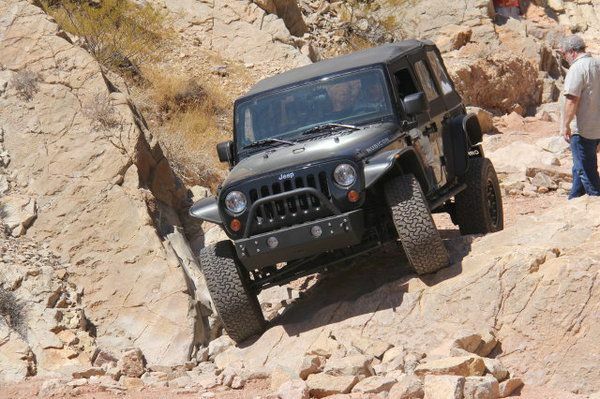 Low clearance rigs may drag, MED sized Rocks on the trail. 4 Wheel Drive required. 1/2 trail dirt road, other half rougher trail. I'm planning to be there. You plan interesting and fun stuff, appreciate it! Windmill resturaunt is open on the first. Great place to have dinner on the way home. Ate there last night, told them I'd be back on the first & may bring some folks. Gotta work that day. Damn. I just made a reservation for a couple days at Windmill Ridge, arriving 12/31 - are you dropping your trailer at the same gas station as last year? I'll just meet you all there - or wherever you drop - around 8:30 a.m. or so. I'm going to try and make this run. I'll be in Maine. A bit long of a commute. Alas I must work. Went last year. What a great run! "Zeek, I don't think we're in Kansas any more"
So looks like we should have at least 5 rigs for sure. Should be an easy day. Sue and I plan on being there. We're looking forward to it. Happy New Year and see you in the morning. Thanks for leading us through another great day in Ash Springs. Great trails, great group, great weather, Windmill Ridge for dinner capped it. My rock rails enjoyed the trip as well, I believe they were screaming with joy a couple times. on the Ted Wiens Custom 4x4 page.